State Rep. Dan Douglas, R-Bentonville, on Monday surprised some legislators and policymakers at the State Capitol by filing a potentially controversial bill that combines portions of legislation he sponsored in 2015 and 2017 to provide an intermediate funding solution to Arkansas’ growing highway needs. House Bill 1260, according to a first reading of the bill, would dedicate revenues from “at least a portion of the sales and use taxes collected on the sale of a new or used motor vehicle, trailer or semitrailer to be used to improve, construct and maintain the highways, roads, streets and bridges” in Arkansas. Douglas’ bill would also levy a wholesale sales tax on state motor fuels by multiplying the 12-month average wholesale price for motor fuel by 3.5%. The Northwest Arkansas lawmaker said the sales tax on new and used cars and the levy on motor fuels would each generate about $120 million in revenue to pay for maintaining and repairing state highways, totaling more than $240 million in new funding. “With that, we can maintain our roads, we can do overlays, we can take care of our bridges, and we maintain our system and keep it from degrading any further,” he said. Douglas also said he decided to file his bill early in the 2019 session so lawmakers can immediately begin debate on highway funding, even if it meant revising and altering HB1260 or taking up another competing bill. The Bentonville lawmaker also admitted that legislation he sponsored in 2017 was filed too late in the session because the Good Roads Foundation had to ante up support for his bill after releasing polling results for a half-cent sales tax proposal. Late Monday afternoon, Good Roads Executive Director Joe Quinn said he was still reading and digesting Douglas’ eight-page bill. He deferred comment on whether he supported HB1260, offering instead that Douglas’ proposal was a “conversation starter” to begin early debate on how to pay for state highway improvements and upgrades going forward. “No matter what bill is filed first by any legislator, it’s going to go through a revision process and it’s going to go through the debate on the merits of each particular bill. And any bill is going to evolve to sort of get to a finished (financial) number and finished collection of funding sources that can be voted on. Quinn’s pro-highway group released a widely-cited survey in 2017 that showed almost two-thirds of likely 2018 voters favor making permanent the current half-cent sales tax for highway improvements. The survey also noted that 82% of Arkansas voters want to make that decision through a ballot initiative rather than leaving it up to legislators, and 81% would be more likely to support a state legislator who votes to give them that opportunity. Approved by voters in 2012, the half-cent sales tax funds the Connecting Arkansas Program and expires in 2023. In the survey, 62% favor making the tax permanent, and 81% of those supporters said they would vote “today” to make it permanent in 2023. In 2016, the pro-highway foundation undertook the survey of more than 800 Arkansans as part of a research project requested by Gov. Asa Hutchinson. In addition to the survey, the Good Roads Foundation also conducted five regional focus groups and met with more than 20 stakeholder groups such as the Arkansas Economic Development Commission, the Arkansas Trucking Association, the Arkansas Municipal League and the Arkansas State Chamber of Commerce. Ahead of the 2019 session, Gov. Hutchinson said at the foundation’s annual meeting in Little Rock in November that extending the half-cent sales tax due to expire in 2023 would be “one of the key foundational ingredients” that could be included in a highway plan presented to voters. But he expressed caution on Douglas’ measure late Monday. “Pulling additional money from general revenue is not the answer. We are already devoting $50 million a year from state revenue to the Highway Department,” Hutchinson told content partner KATV News. 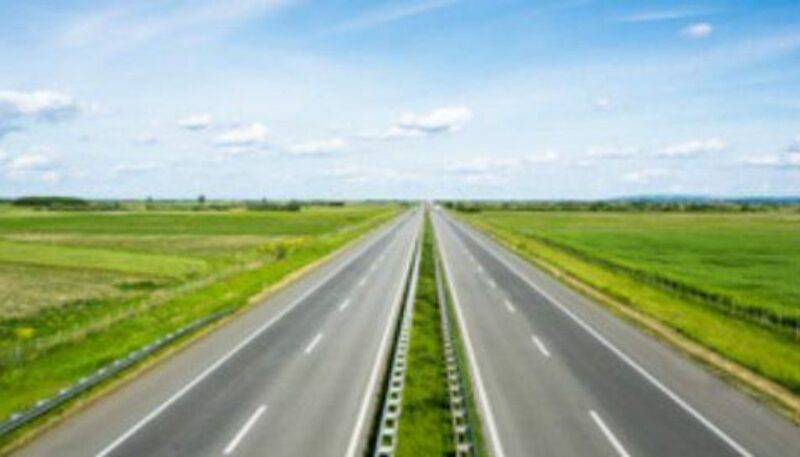 According to the state Highway Department, there is a more than $400 million in annual revenue shortfall for maintaining the highway system and completing needed construction – a figure that does not include constructing Interstate 49 across western Arkansas or I-69 across southern Arkansas. The agency spends about $455 million annually on the highway system. ARDOT Director Scott Bennett said Nov. 7 in a speech to the American Council of Engineering Companies’ state chapter that extending the half-cent sales tax would reduce the additional needs to $220 million. Quinn told Talk Business & Politics the consensus at the State Capitol is that lawmakers will first work on Gov. Hutchinson’s $111 million tax cut package known as the 2-4-5.9 plan before finding a way to pay for state highway construction. If lawmakers implement major recommendations developed by the Arkansas Tax Reform and Relief Task Force, that plan would simplify the state’s tax code and cut the top marginal tax rate eventually to 5.9%. In an interview with Talk Business & Politics this weekend, state Rep. Andy Davis, R-Little Rock said any and all proposals to craft a highway funding plan are on the table. HB1260 has been referred to the House Committee on Revenue & Taxation, which is chaired by state Rep. Joe Jett, R-Success. No date has been set for a first hearing on the bill.